MERP is a total conversion modification of the Elder Scrolls IV: Oblivion. Explore Middle-earth in a fully open-ended environment like you've never seen before. Play races like Elves, Men, Hobbits and Dwarves and take part in the War of the Ring. Report RSS	MERP 0.2.6 beta release! It's finally here, the MERP 0.2.6 beta release for Oblivion! It's finally here, the 0.2.6 beta release of MERP for Oblivion! 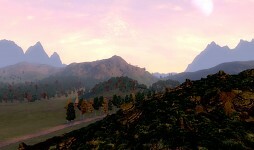 Almost all of the landscapes of Middle Earth are finished, we hope you will have fun exploring them. Note that we haven't included any quests in this release. Due to the preparations for the port to Skyrim the team has been spread too thin lately to achieve (in the limited amount of time we had left after the repairs) the quest quality we aim for, and thus we decided not to include them at all. There still is a lot of new content to explore though! If you use the torrent, we'd appreciate it if you could at least seed until a 1.0 download/upload ratio has been achieved. MERP now has a Facebook page, feel free to join! A 0.2.6 trailer is being made, we didn't want to delay the release just for the trailer. The Creation Kit for Skyrim is set to be released tomorrow (today for some of us). 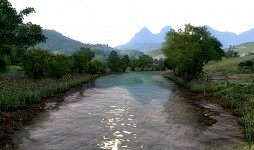 Once it has been released the team will explore it's features to see if it provides everything MERP needs, and if so we will create a new ModDB page for Skyrim-MERP and provide the link here in a new update. This ModDB page will be kept intact for all Oblivion players. IKR! I saw this a while ago, and wow is it great! I'm getting this right now, and Oblivion too! Yeah Its best type of downloading for BIG files! Normal Oblvion runs average of 45 FPS I took a huge hit on the Nehrim mod so it only ran 8-15 FPS, whats MERP like anybody, this is a big download I like to be sure I can run the mod. Checked out the U-tube video and MERP looks amazing. Depends on where you are. In some areas, you will get Oblivion frames. In other areas, especially around Minas Tirith, you will get Nehrim frames. does this inclued helms deep fortress? no unfortunately, but helms deep will be included in Skymerp for sure! i own oblivion for steam, but im not shure how to launch MERP! okay here's the thing, the fps i get in minastirit is like 3/s is that normal 4 u guys? That is a problem with the lod meshes. We will release a patch to fix that. The fps won't be great, as Oblivion is not very well optimized and Minas Tirith and Pelargir are a lot of meshes, but it will be much better than it is pressently. The console command TMM 1 works I guess. You guys should release a new video showing some of this stuff off. Minas Tirith looked much better as every wall was white!! Anyway, this mod is great!!! With the Skyrim Creation Kit out, is there any plan to port this over? It would be a lot of work, but you'd reach a much larger audience. so is this dead now? oblivion merp?? no, an update will come out in a few days, but after that, if we don't need any more updates, we will focus entirely on Skyrim MERP. I can't say how much I love this. I'm a huge The Elder Scrolls fan and Lord of the Rings fan. Thank you for making this. I have some questions..... if we are playing as a hobbit in the place of Frodo, then how would we be in the battles like Helm's Deep and at Pelenor Fields? Will the gameplay be like the movie? Switching to Frodo and Sam then Merry and Pippin and then to Aragorn, Legolas and Gimli? Or will that e in the questline as other races where the player is in the White Council? @LiLDEZ-MVP: There are three "gameplay modes" planned: Ringbearer, White Council, and Free Roam. Ringbearer has you play in the role of Frodo Baggins (your quest being to destroy the Ring), White Council your character's past has ties with members of the White Councils (and you do missions for them). Free Roam is basically the main game where you are playing the normal game without any pre-conceived backstory to your character. However, as the Ringbearer I would strongly stress that the player should focus on their task of destroying the Ring! Did Frodo take part in any of the major battles? No! He had a quest to take part in, and the clock is ticking. He holds the fate of Middle Earth in his hands! He has no time to get side-tracked with all these other major events!